In early February 1945, the tide of battle was such as to enable an accurate estimate as to when and where the 2nd British Army would be ready to force a crossing of the Rhine River. It was determined that the crossing would be in conjunction with an airborne operation by XVIII Airborne Corps. The sector selected for the assault was in the vicinity of Wesel, just north of the Ruhr, on March 24, 1945. 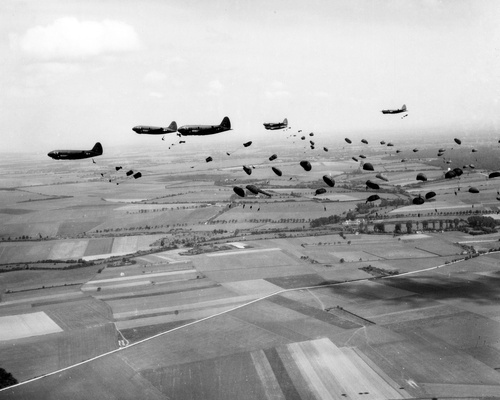 Operation Varsity would be the last airborne drop of World War II and the assignment went to the British 6th Airborne Division and the 17th Airborne Division. These two photos were realised in Châlon (France) just after the Battle of the Bulge. On the left photo, the third man from the left is Veto C FULLER. The other men are unidentify. All are members of Company I - 513th PIR (unpublished original photos - TFH collection). February 11, 1945. The Regiment closed in new area vicinity of Châlons at 11h30. Work was begun on completion of bivouac area and reception of replacements. 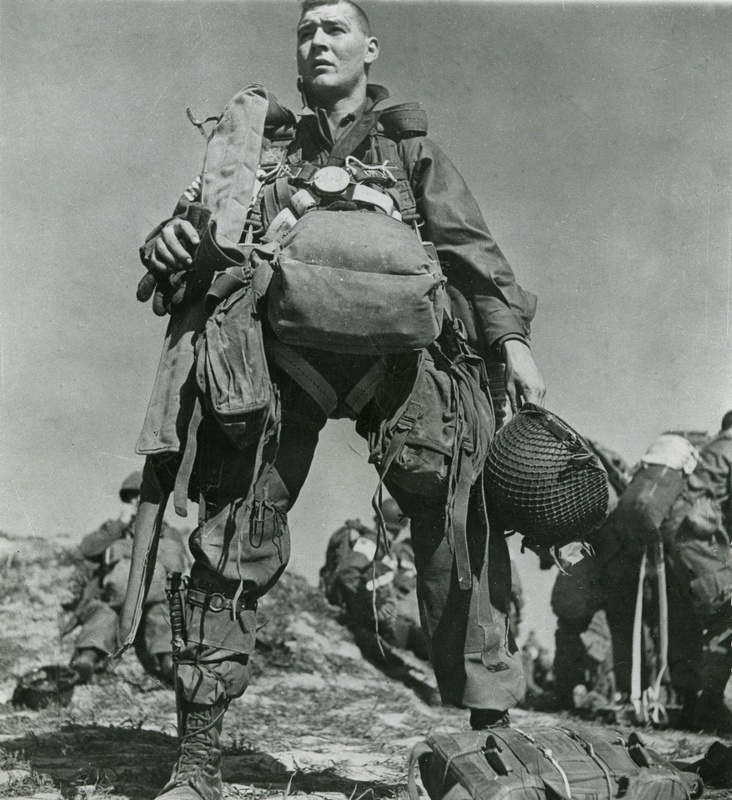 February 12, 1945, replacements of officers and enlisted men start to come in bivouac. February 22, 1945, Combat Infantryman's Badge awarded to officers and enlisted men. 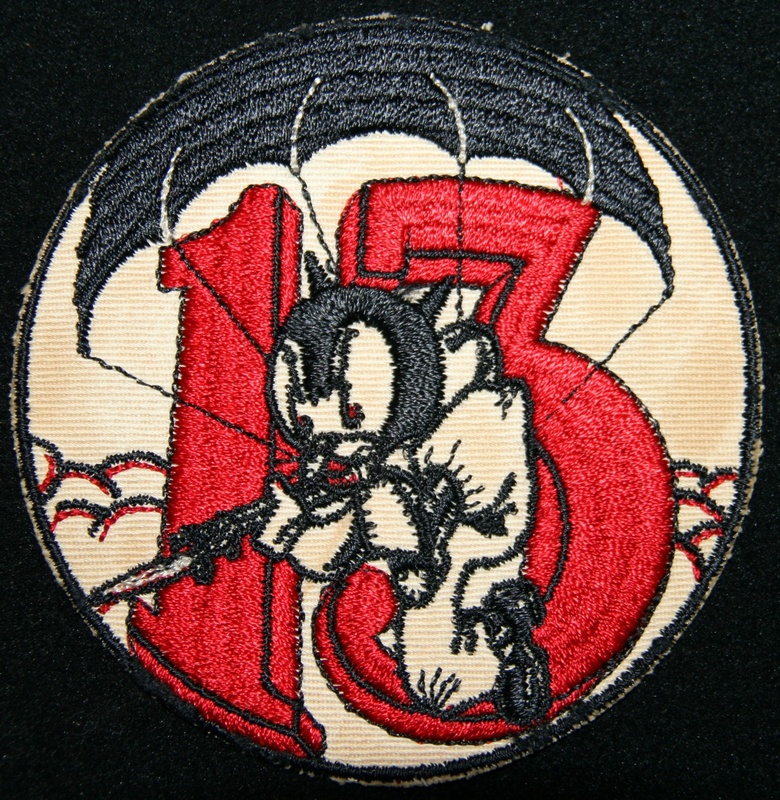 Between 5 and 10 March, 1945, the 513th PIR realised experimental jump from the new C-46 airplanes, from both sides of plane. 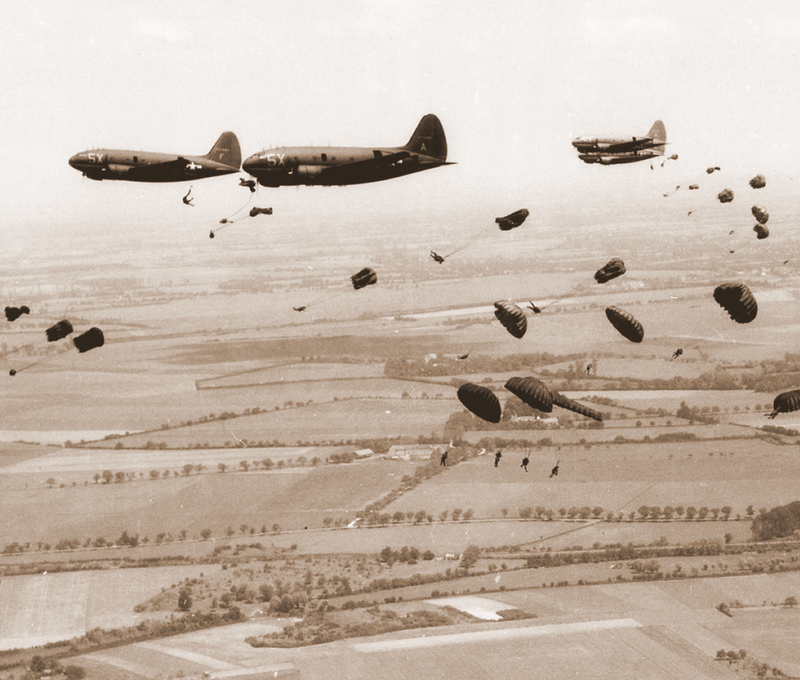 Training jump from the new C-46 planes prior to operation Varsity (National Archives - Repro photos TFH collection). 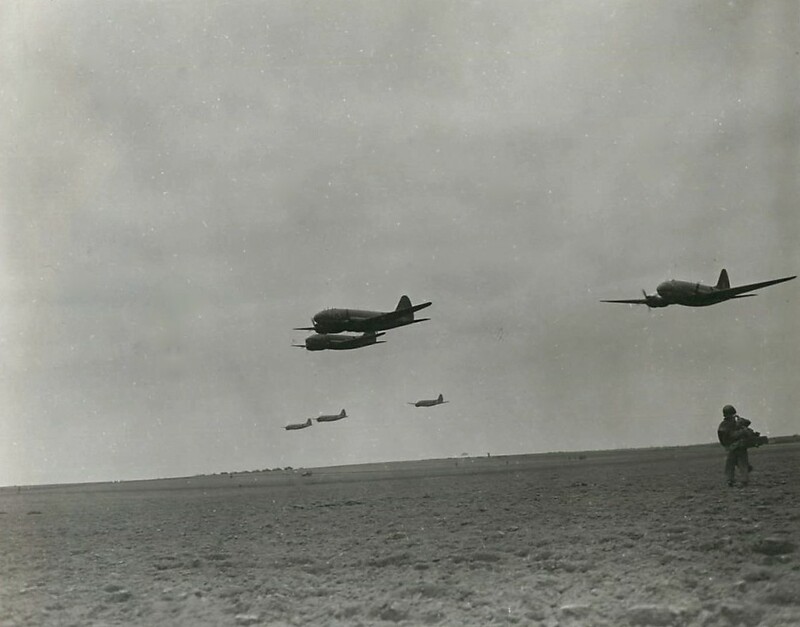 This other photo was realised on March 11, 1945 in Châlon (France) and shows C-46 planes in formation over a landing field (US Army Signal Corps - Original photo TFH collection). 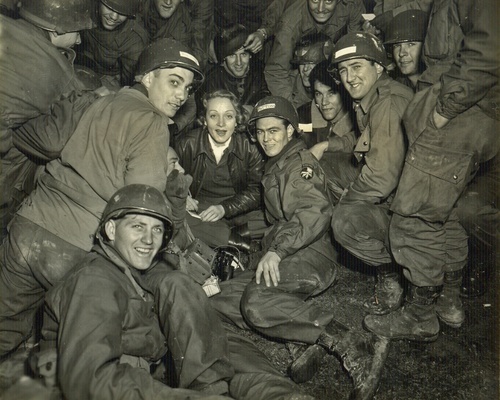 On March 6, 1945, the motion picture stars Marlene Dietrich and Mickey Rooney visit the 513th PIR area. The following day, it was Bobby Breen who visit the Regiment. Marlène Dietrich during her visit to the 17th Aiborne troopers in early March 1945. 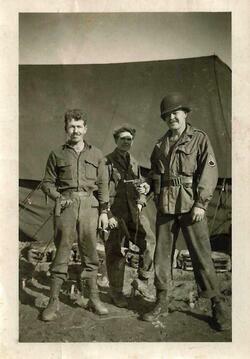 The soldier on the left of the famous star wears the name PATTON (with a letter looks like P) on his helmet. 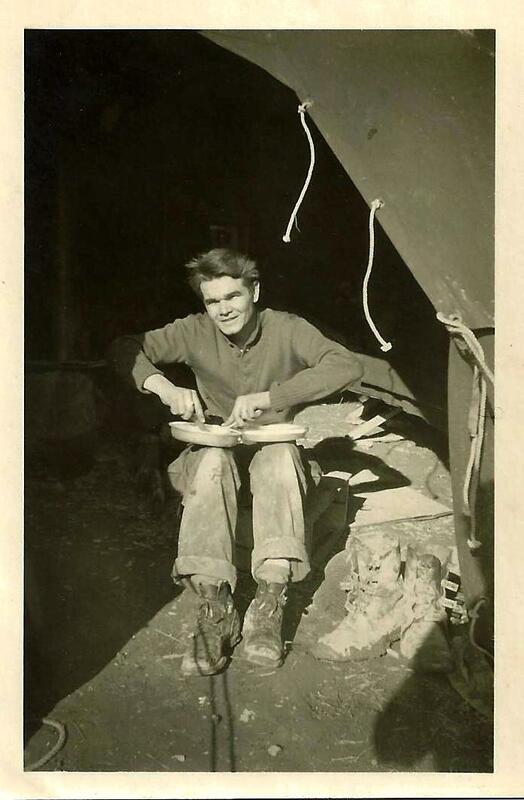 May be it is PFC Paul J. PATTON (ASN 38630783) from Tarrant County, Texas. This soldier was born on July 16, 1920 and KIA on March 24, 1945 at the age of 24 while he served with the 513th PIR. 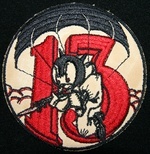 Note there is a total of 8 PATTON who served in the 17th AB Division during WWII. Note also of interest the interesting mix of uniforms : M-41 jacket, M-42 jump jacket, M-43 jacket, rigger made M-43 troosers, US M1 fixe & swivel bale helmets, M1C paratrooper liner, ... (Original photo TFH collection). The 513th PIR leaved the vicinity of Chalons-sur-Marne (France) then back to Achiet (on the airport B-54), France on March 21, 1945 to prepare for the air assault across the Rhine. This famous photo was realised by Robert Capa in the morning of saturday March 24, 1945, just prior the jump over the Rhine. The soldier is James "Jim" P Conboy Jr (ASN 13199955) from Company HQ. Jim was born in 1925 in Philadelphia, PA. He was inducted on January 14, 1944 in New Cumberland, PA. Just after the jump, Jim will be wound in action. A 20 mm shell hit his right leg, shattering it. His leg is amputated for wich he receives a Purple Heart Medal. He also awards the Bronze Star Medal (National Archives - Repro photo TFH collection).